LDC, the France-based poultry business, has reported rising annual sales, with growth across its operations, the company said. 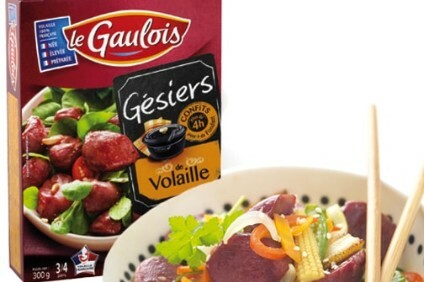 The group, which announced the acquisition of a French duck supplier alongside the results, is scheduled to published its full financial results on 30 May. It said its annual underlying operating income will be "substantially equivalent" to the previous 12 months. US potato produce supplier Lamb Weston saw sales rise by 7.3% and income leap forward by 26.4% in the nine months to 25 February, on a year-on-year basis. Tom Werner, president and CEO, said: "Across each of our core businesses, we grew volume and improved price/mix to drive profit growth and expand margins. Our new production line in Richland, Washington is up and running, providing us with greater flexibility across our manufacturing network to support further growth, innovation and limited time offerings for our customers, as well as allowing us to better manage costs, capacity utilisation and service levels. "In Europe, our joint venture delivered another solid quarter by growing volume and reducing costs. As a result of our strong year-to-date performance and continued expectation of a favourable operating environment, we've raised our annual outlook for sales growth and adjusted EBITDA." Switzerland-based dairy and infant formula supplier Hochdorf today (5 April) described 2018 as "a transitional year" for the business, as it published a set of annual results boosted by its acquisition of a controlling stake in African infant formula manufacturer Pharmalys Laboratories. Hochdorf saw its net profit more than double in 2017 in the wake of the deal, with its EBIT up almost 90% and revenue rising by nearly 11%. Describing its main tasks this year, Hochdorf said: "We need to market the additional potential capacities in the baby care division, bring the business of healthy kids food and snacks to market and launch the developed high value-added new products in the dairy ingredients division as quickly as possible. We need to make the Swiss dairy ingredients business profitable again for the future by employing various measures." MainFirst analyst Alain Oberhuber said: "Division discussion for financial year 2017: dairy ingredients could have had a loss of around CHF4.5m due to the challenging Swiss ingredients business in the first semester 2017 - ,which could not recuperated in the second half - and the challenging production of Lithuania. Baby care was strong due to a recuperation of its B2B [unit] mainly in Libya and Egypt and Hochdorf's strong improvement with its B2C with Pharmalys." 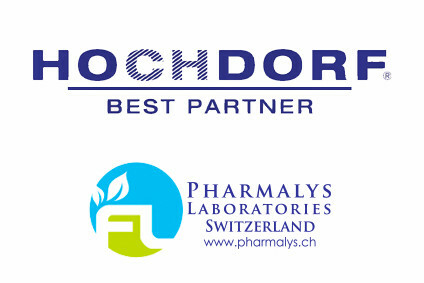 Overall, Oberhuber added the "positive" parts of Hochdorf's results were the "strong growth of Pharmalys and its positive mix effect" and the "stable cereal and ingredients business". However, he said a "conservative 2018 guidance" was a "negative". Philippines-based canned food group Century Pacific Food saw revenues increase by 22% in 2017, on a like-for-like basis, but profits were down by 4% due primarily to higher raw material prices relative to their cyclical lows the year before, the company said. we've adopted a more conservative approach towards price increases in the face of inflationary pressures. "This has helped further solidify our market shares, increase sales volume, and puts us in a good position to benefit once raw material prices soften." Ukraine-based branded dairy group Ukrproduct provided a trading update for the year ended 31 December in which it said business opportunities improved on the back of growth in the local economy and an up-tick in consumer confidence. The company saw sales increase during the year for its packaged butter and processed cheese. 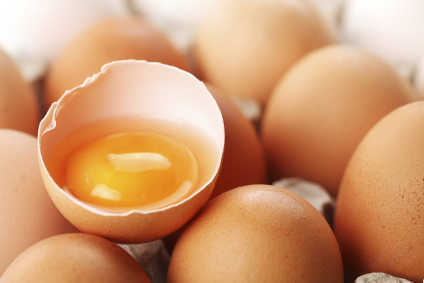 US egg supplier has seen a marked improvement in its results in the 39 week period to 3 March, on a like-for-like basis. Sales were up by 32.5% while operating income and net income both returned to positive territory. Dolph Baker, chairman and chief executive officer, said: "We are pleased to report very strong financial and operating results for the third quarter of fiscal 2018, as we capitalised on improved market conditions compared with the third quarter last year. Our sales were up 42.2% from a year ago, reflecting strong consumer demand trends, continued grocery store promotions for shell eggs, and more moderate production growth." Lifeway Foods, the US supplier of cultured dairy products, saw its sales dip by 4% in 2017 while 2016's profit of $3.4m turned into a loss of $346,000 in the 12 months to 31 December. CEO Julie Smolyansky said: "This past year, we navigated a rapidly-changing dairy industry landscape and continued to make important progress against the innovation and commercialisation priorities of our strategic initiatives. Many of these products are already gaining momentum and contributed to our 2017 financial results."